Who are we? | Global Patient Identifiers, Inc.
We believe we can make a difference in healthcare. Rob Macmillan is the CEO of Global Patient Identifiers, Inc. Rob has extensive experience in information management and software development. He led the evolution of software products for cancer diagnosis and treatment with Elekta in his role as VP Product Marketing. Prior to that, he provided global R&D leadership for two Laboratory Information System companies, Triple G and Sunquest. Rob completed his Bachelor’s degree in Science from the University of Western Australia in Perth, Australia. He has a post-graduate Diploma in Numerical Analysis and a Master’s degree in Computing Science from the University of Manitoba in Winnipeg, Manitoba. Dr. Hieb is the Chief Scientist for Global Patient Identifiers Inc. Prior to that he was a research director for 10 years in the Gartner Healthcare Industry Research and Advisory Service. He has worked for a number of employers including Washington University in St. Louis, Digital Equipment Corporation, and Sunquest Information Systems. 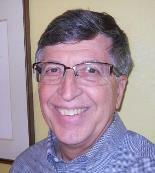 He is a physician with over 35 years’ experience in medical informatics. 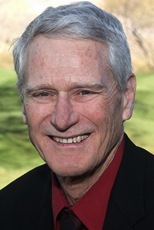 Dr Hieb received his BA from Bethel College in Newton, Kansas and his Medical Degree and Master’s Degree in Computer Science from Washington University in Saint Louis. Dr. Hieb has been a long-term participant in the ASTM E31 standards group where he has focused on requirements for a national healthcare identification system. To deliver a service to accurately link patients to their healthcare records. This will improve the quality and reduce the cost of medical care. While providing a platform on which the privacy of health-related data can be placed in the control of the patient and the provider. Many people think you can have accurate identification or privacy of health information, but not both. We believe that any acceptable solution must provide both.